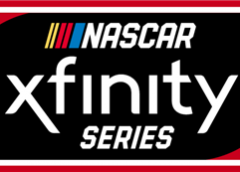 The NASCAR Xfinity Series packs up and heads west this week to Las Vegas, Nevada, for the Boyd Gaming 300 at Las Vegas Motor Speedway on Saturday, March 2 at 4 p.m. ET on FS1, PRN and SiriusXM NASCAR Radio. Las Vegas Motor Speedway has hosted 23 NASCAR Xfinity Series races dating back to the first event held on March 16, 1997 – Jeff Green won the race from the pole, driving for car owner Gary Bechtel in the No. 8 Chevrolet. Since then, the Xfinity Series has seen 17 different pole winners and 17 different race winners at Las Vegas. NASCAR Hall of Famer Mark Martin and drivers Kyle Busch, Carl Edwards and Matt Kenseth lead the series in poles at Las Vegas with two each. Martin also leads the series in wins at Las Vegas with four (1999, 2005, 2008 and 2011). 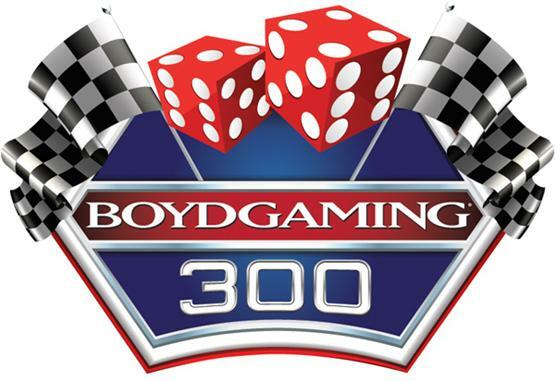 Last season’s Boyd Gaming 300 saw Christopher Bell win the pole for the event, but the race was dominated by Monster Energy Series driver Kyle Larson, who led 142 of the 200 laps en route to the victory. It was Larson’s first of four wins he would capture in 2018 in the Xfinity Series. 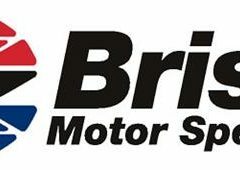 Currently, Las Vegas Motor Speedway is riding a different winner streak in the NASCAR Xfinity Series that dates back to 2009 and has reached 11 different winners – Greg Biffle (2009), Kevin Harvick (2010), Mark Martin (2011), Ricky Stenhouse Jr. (2012), Sam Hornish Jr. (2013), Brad Keselowski (2014), Austin Dillon (2015), Kyle Busch (2016), Joey Logano (2017), Kyle Larson (2018 spring) and Ross Chastain (2018 fall). Four former Las Vegas winners are entered this weekend but only three can snap the streak – Kyle Busch (2016), Ross Chastain (2018) and Austin Dillon (2015) – the fourth winner entered this weekend, but not included in the streak is Jeff Green (1997). Making a statement early in the season with the top two spots in the NASCAR Xfinity Series driver championship standings, Joe Gibbs Racing drivers Christopher Bell (first) and Brandon Jones (second) are championship hungry. Coming off a big win at Atlanta Motor Speedway last weekend, Oklahoma native Christopher Bell is now the points leader by four points over his JGR teammate Brandon Jones. In addition, he has guaranteed himself a spot in the Playoffs and banked seven Playoff points in the process. 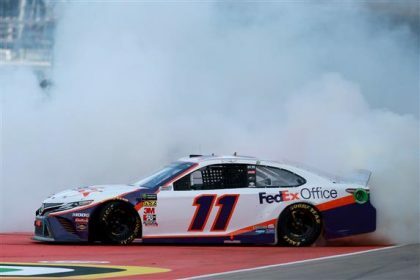 Both drivers are looking to bring the Joe Gibbs Racing organization its third driver title (Kyle Busch, 2009 and Daniel Suarez, 2016) at the conclusion of 2019. Last season in the spring race at Las Vegas, Christopher Bell won the pole in his series track debut and finished runner-up behind race winner Kyle Larson. “I enjoy Vegas and coming off the win at Atlanta gives us a little extra momentum and confidence going into this weekend,” said Bell. Bell’s teammate Jones led the points following the season-opener at Daytona and is now just four points back from Bell in second after his fourth-place finish at Atlanta last weekend. Jones has also seen success at Las Vegas, in his four career starts at the 1.5-mile speedway he has accumulated three top 10s; including two seventh-place finishes in last year’s races. Jeffrey Earnhardt has also been impressive this season for Joe Gibbs Racing. The grandson of NASCAR Hall of Famer Dale Earnhardt has posted an average finish of 10.5 in his two starts with the organization. This weekend, Kyle Busch will be back in the No. 18 Toyota Camry. Busch has just one series win at his home track, back in 2016. A lot of big changes happened for the 2018 NASCAR Xfinity Series champion, Tyler Reddick, following his big win in the season-finale at Homestead-Miami – a new organization, new crew chief, new car – but none of it seems to be slowing him down. The California native is now fourth in the Xfinity Series driver points standings as the series heads out to Las Vegas Motor Speedway for the Boyd Gaming 300. Last season, Tyler Reddick won the NASCAR Xfinity Series championship with JR Motorsports, driving the No. 9 Chevrolet Camaro with crew chief David Elenz. This season, Reddick has moved to Richard Childress Racing to drive the flagship No. 2 Chevrolet Camaro with crew chief Randall Burnett. After coming off such a successful season, one might think the wholesale changes would slow him down, but instead he hasn’t missed a beat. In two starts this season he has amassed one top five, two top 10s and an average finish of 7.0. Reddick is looking to bring RCR its first driver title since Austin Dillon’s championship in 2013. Reddick made his series track debut in this event last season, positing an eighth-place finish. JD Motorsport’s driver Ross Chastain is returning to Las Vegas Motor Speedway, his first time back since winning his first career NASCAR Xfinity Series race at the 1.5-mile complex last fall. Chastain is just one of 12 first-time winners the NASCAR Xfinity Series has seen over the last three seasons. Though now he has returned to JD Motorsports with Gary Keller for 2019, last season’s victory at Las Vegas came with Chastain piloting the No. 42 Chip Ganassi Racing Chevrolet Camaro. Chastain’s performance was impressive as he led 180 of the 200 laps (90%). 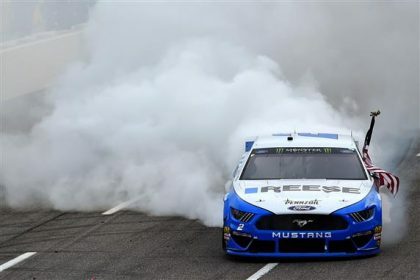 The win marked the fourth time in three season Chip Ganassi Racing had ushered in a new winner into the series – more than any other organization during that time. Plus, Chastain became just the second driver in series history to win his first race at Las Vegas Motor Speedway; joining Jeff Green (1997). This season Chastain ran the season-opener at Daytona for Kaulig Racing, posting a 13th-place finish, and then last weekend at Atlanta he joined the JD Motorsports crew to finish 14th. Now the Florida native is ninth in the driver points standings looking to make the Playoffs for the second consecutive season. Chastain has made five series starts at Las Vegas, posting one win and an average finish of 15.6.
tightened up with John Hunter Nemechek and Justin Haley tied in points (60 each) at the top. This class looks to be one of the most competitive in a while as all five rookies are only separated by 17 points in the standings after two races. Four of the five rookies this season will be making their series track debut at Las Vegas Motor Speedway this Saturday. Chase Briscoe is the lone rookie with a start at Las Vegas – last season in the fall race he started 13th and finished 31st. West Coasters Are Gearing Up – Several of the NASCAR Xfinity Series finest hail from the West Coast, so it is no surprise when the series pulls into Las Vegas Motor Speedway this weekend drivers like Noah Gragson (Las Vegas, Nevada), Kyle Busch (Las Vegas, Nevada), Ja Junior Avila (Los Angeles, California), Cole Custer (Ladera Ranch, California), Tyler Reddick (Corning, California) and Zane Smith (Huntington Beach, California) will be extra excited to showcase their talents in front of their local fans. 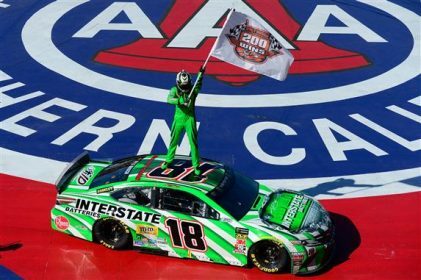 Local Favorite Kyle Busch Is Back – The NASCAR Xfinity Series’ winningest driver all-time, Kyle Busch, will return to the series this weekend for his first start in 2019. Busch will be in the No. 18 Toyota, replacing Jeffrey Earnhardt, this weekend at Las Vegas. Busch calls LVMS is home track and has had quite the success in front of his friends and family, as he has made 14 series start posting two poles, one win (2016), four top fives, five top 10s and an average finish of 15.8. Dillon Jumps In With Kaulig Racing At Vegas – Austin Dillon will be back in Kaulig Racing’s No. 10 Chevrolet this weekend at Las Vegas Motor Speedway with crew chief Alex Yontz. This will be Dillon’s first Xfinity Series start of the 2019 season. This season, car owner Matthew Kaulig has expanded his stable to two entries with Justin Haley driving the fulltime No. 11 Chevrolet and multiple drivers piloting the part-time No. 10 Chevrolet team. Ross Chastain drove the No. 10 in the season opener at Daytona finishing 13th. Dillon made his first start for Kaulig Racing’s No. 10 team last season at Indianapolis where he started 32nd and finished eighth. Dillon has made six series starts at Las Vegas, posting a win (2015 from the pole), three top fives, five top 10s an average finish of 6.0. Zane Smith To Make Debut With JR Motorsports – JR Motorsports will have 19-year-old Huntington Beach, California, driver Zane Smith behind the wheel of the No. 8 Chevrolet Camaro with crew chief Taylor Moyer this weekend at Las Vegas Motor Speedway. Smith has showcased his talents working up the ranks racing in the CARS Late Model Series, the NASCAR K&N Pro Series East and West, but most impressively was his stint in ARCA. Over the past three seasons he has made 36 starts in the ARCA Menards Series and has posted four wins, 19 top fives, 25 top 10s and three poles. He even finished second in the ARCA driver championship standings last season. Though this will be Smith’s first NASCAR Xfinity Series start, it will not be his first NASCAR national series start, as the youngster made his NASCAR Gander Outdoors Truck Series debut last season for DGR-Crosely Racing at Gateway Motorsport Park – he started 10th and finished fifth.